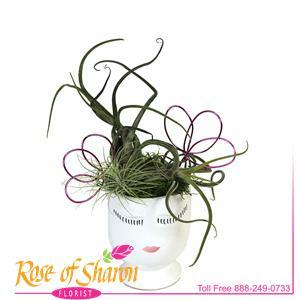 Medusa is a small Tillansia Garden (Air Plants), planted in our Celfie cashe and adorned with wire fans. Planted with Medusae and Tectorum Tillansia. Easy care plants in our on-trend, quality ceramic pot. Nice!